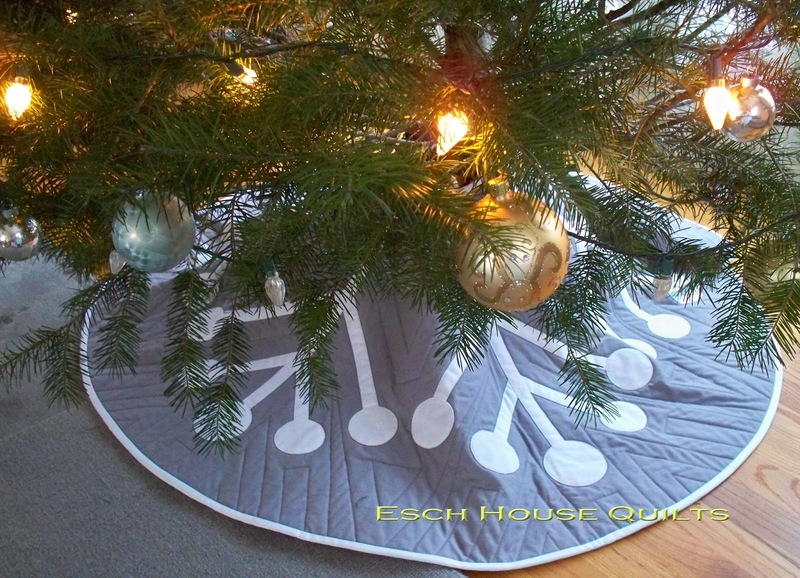 Come and learn how to machine applique as you make this beautiful, modern tree skirt with pattern designer and applique expert Debbie Grifka of Esch House Quilts. This pattern was a big hit at Quilt Market and is sure to bring an extra bit of joy to the bottom of your tree! The skirt is 48" diameter with a bound opening and optional ties and features non-fusible machine applique. With only slight adjustment, this could be a round quilt instead of a tree skirt. 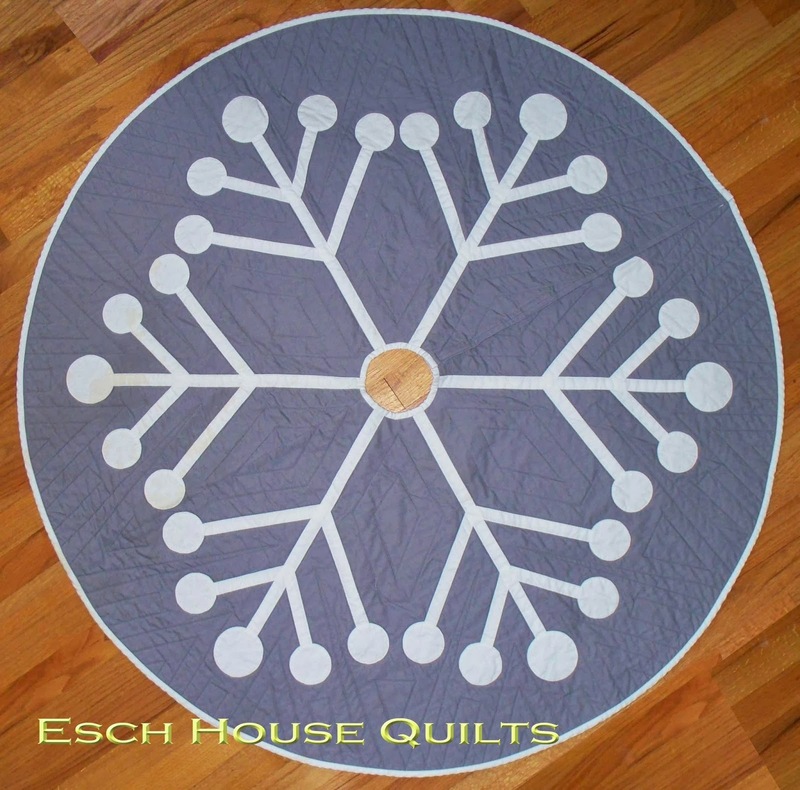 Debbie's tree skirt is make with Robert Kaufman's Kona solids in White and Medium Gray, but it would also look amazing in brighter colors, or even prints (perhaps those great snowflakes or the mistletoe from In from the Cold?). You can read Debbie's blog post about the pattern here. Students should be able to sew a straight stitch on their sewing machines. Be sure to check the supply list to know what you need to bring! Price per student is just $49, and the pattern is included in the price of the class. One of the great things about Pink Castle is how often we get the chance to learn how to make projects with the actual, fantastic designers! This is another great opportunity to take a class with a an expert we are lucky to have nearby! If you are not so nearby, this pattern is available for purchase through Debbie's Etsy and Craftsy shops. Although Pink Castle does not carry this pattern yet, we have many other fine patterns from Debbie in the shop, including an adorable bias applique Christmas tree wall hanging. But if you are here, you need to sign up for this class! This tree skirt is so good! And knowing how to do applique opens up a new realm of possibilities for your future sewing projects. Known for her cool, minimalist style, Debbie Grifka is a pattern designer who regular contributor to quilt magazines and books. She is on the board of the Ann Arbor Modern Quilt Guild. 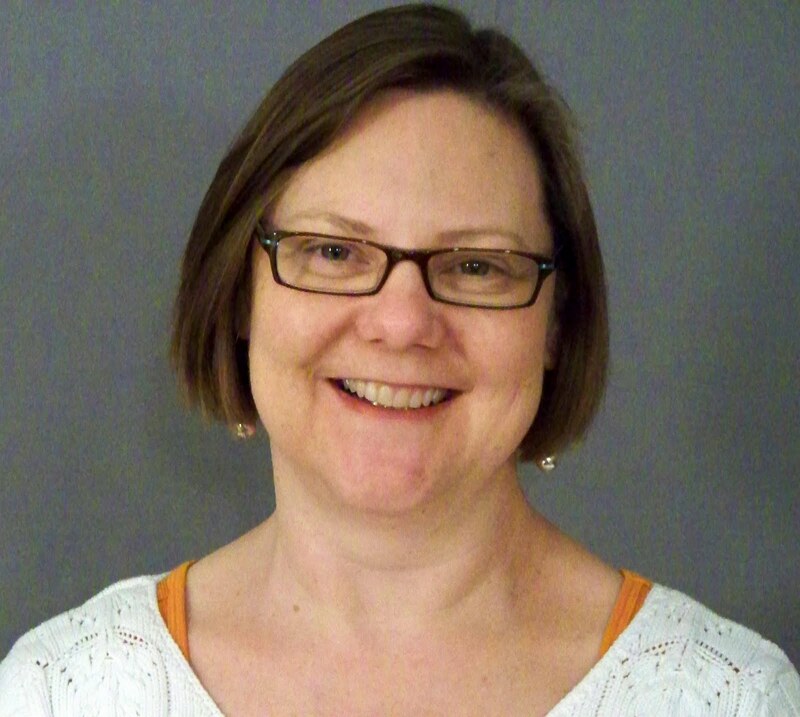 She also travels around the country teaching classes on hand, machine, and bias applique methods, and gives talks about the Modern Quilting movement. She is also one of the featured counselors for Pink Castle Fabric's own sewing retreat Camp Stitchalot Winter 2013, (which is coming up pretty soon!) where she will be teaching us how to make charming hot pads and potholders.